Free Kasasa Cash Checking: *Qualification Information: Account transactions and activities may take one or more days to post and settle to the account and all must do so during the Monthly Qualification Cycle in order to qualify for the account's rewards. The following activities do not count toward earning account rewards: ATM-processed transactions, transfers between accounts, debit card purchases processed by merchants and received by MCS Bank as ATM transactions and purchases made with non-MCS Bank issued cards. Transactions bundled together by merchants and received by our institution as a single transaction count as a single transaction for the purpose of earning account rewards. "Monthly Qualification Cycle" means a period beginning one (1) business day prior to the first day of the current statement cycle through one (1) business day prior to the close of the current statement cycle. Reward Information: When your Kasasa Cash account qualifications are met during a Monthly Qualification Cycle, (1) balances up to $15,000.00 receive APY of 2.00% and balances over $15,000.00 earn 0.50% interest rate on the portion of balance over $15,000.00, resulting in a range from 2.00% to 0.50% APY depending on the account's balance and (2) you will receive reimbursements for nationwide ATM withdrawal fees incurred during the Monthly Qualification Cycle in which you qualified. When Kasasa Cash qualifications are not met, all balances in the account earn 0.05% APY and ATM withdrawal fees are not refunded. Interest and ATM withdrawal fee reimbursements will be credited to your Kasasa Cash account on the last day of the current statement cycle. APY = Annual Percentage Yield. APYs accurate as of 9/30/2018. Rates and rewards are variable and may change after account is opened. Fees may reduce earnings. Additional Information: Account approval, conditions, qualifications, limits, timeframes, enrollments, log-ons and other requirements apply. $25.00 minimum deposit is required to open the account. Monthly Direct Deposit or ACH debit/credit and agreement to receive e-Statement notifications are conditions of this account. Enrollment in electronic services (e.g. online banking, electronic statements and log-ons) may be required to meet some of the account's qualifications. Limit one (1) account per social security number. There are no recurring monthly service charges or fees to open or close this account. Contact a MCS Bank service representative for additional information, details, restrictions, processing limitations and enrollment instructions. Member FDIC. Kasasa and Kasasa Cash are trademarks of Kasasa, Ltd., registered in the U.S.A.
Free Kasasa Cash Back Checking: *Qualification Information: Account transactions and activities may take one or more days to post and settle to the account and all must do so during the Monthly Qualification Cycle in order to qualify for the account's rewards. The following activities do not count toward earning account rewards: ATM-processed transactions, transfers between accounts, debit card purchases processed by merchants and received by MCS Bank as ATM transactions and purchases made with non-MCS Bank issued cards. Transactions bundled together by merchants and received by our institution as a single transaction count as a single transaction for the purpose of earning account rewards. "Monthly Qualification Cycle" means a period beginning one (1) business day prior to the first day of the current statement cycle through one (1) business day prior to the close of the current statement cycle. 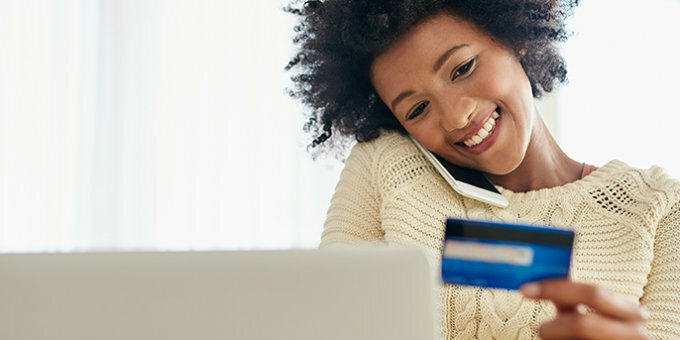 Reward Information: When Kasasa Cash Back qualifications are met during a Monthly Qualification Cycle, you will receive (1) 2.00% cash back on up to a total of $300.00 card purchases that post and settle to the account during that cycle period. A maximum of $6.00 cash back may be earned per Monthly Qualification Cycle. You will also receive reimbursement for nationwide ATM withdrawal fees incurred during the Monthly Qualification Cycle in which you qualified. When Kasasa Cash Back qualifications are not met, no cash back payments are made and ATM withdrawal fees are not refunded. Cash back payments and ATM withdrawal fee reimbursements will be credited to your Kasasa Cash Back account on the last day of current statement cycle. Rates and rewards are variable and may change after account is opened. Additional Information: Account approval, conditions, qualifications, limits, timeframes, enrollments, log-ons and other requirements apply. $25.00 minimum deposit is required to open the account. Monthly Direct Deposit or ACH debit/credit and agreement to receive e-Statement notifications are conditions of this account. Enrollment in electronic services (e.g. online banking, electronic statements and log-ons) may be required to meet some of the account's qualifications. Limit one (1) account per social security number. There are no recurring monthly service charges or fees to open or close this account. Contact a MCS Bank service representative for additional information, details, restrictions, processing limitations and enrollment instructions. Member FDIC. Kasasa and Kasasa Cash Back are trademarks of Kasasa, Ltd., registered in the U.S.A.
Free Kasasa Tunes Checking: *Sign Up Bonus: When you open and fund your Kasasa Tunes account, you will be refunded up to an aggregate total of $20 (which includes any applicable taxes) for iTunes or Amazon.com purchases, made with your Kasasa Tunes debit card that post and settle to your account during the first 45 calendar days after your account is opened. This refund will be credited to your account on the last day of the current statement cycle in which your aggregate iTunes or Amazon.com purchase threshold of $20.00 posts and settles to your account. Any portion of the Sign Up Bonus that is not used within the stated time period will be forfeited. A $25.00 minimum deposit is required to open the account. No minimum balance is required to obtained this bonus. Qualification Information: Account transactions and activities may take one or more days to post and settle to the account and all must do so during the Monthly Qualification Cycle in order to qualify for the account's rewards. The following activities do not count toward earning account rewards: ATM-processed transactions, transfers between accounts, debit card purchases processed by merchants and received by MCS Bank as ATM transactions and purchases made with non-MCS Bank issued cards. Transactions bundled together by merchants and received by our institution as a single transaction count as a single transaction for the purpose of earning account rewards. "Monthly Qualification Cycle" means a period beginning one (1) business day prior to the first day of the current statement cycle through one (1) business day prior to the close of the current statement cycle. Reward Information: When Kasasa Tunes qualifications are met during a Monthly Qualification Cycle: you will earn up to an aggregate total of $5.00 (which includes any applicable taxes) in refunds for any iTunes or Amazon.com purchases. In order to be refunded, iTunes or Amazon.com purchases must be made with your Kasasa Tunes debit card and must post and settle to your account during the Monthly Qualification Cycle which follows the Monthly Qualification Cycle in which you earned the reward. In addition, you will receive reimbursements for nationwide ATM withdrawal fees incurred during the Monthly Qualification Cycle in which you qualified. When Kasasa Tunes qualifications are not met, iTunes and Amazon.com purchases and ATM fees are not refunded. iTunes and Amazon.com refunds and ATM withdrawal fee reimbursements will be credited to your account on the last day of the current statement cycle in which these purchases post and settle to your account and the ATM withdrawal fees were incurred. Rewards are variable and may change after account is opened. Additional Information: Account approval, conditions, qualifications, limits, timeframes, enrollments, log-ons and other requirements apply. $25.00 minimum deposit is required to open the account. Agreement to receive e-Statement notifications is a condition of this account. Enrollment in electronic services (e.g. online banking, electronic statements and log-ons) may be required to meet some of the account's qualifications. Limit one (1) account per social security number. There are no recurring monthly service charges or fees to open or close this account. Contact a MCS Bank service representative for additional information, details, restrictions, processing limitations and enrollment instructions. Member FDIC. iTunes is a registered trademark of Apple, Inc. Amazon.com is a registered trademark of Amazon.com Inc. Apple Inc. and Amazon.com Inc. are not participants in or sponsors of this program. Kasasa and Kasasa Tunes are trademarks of Kasasa, Ltd., registered in the U.S.A.